I love photography. When I started shooting in manual mode, there was (and is) a lot to learn. What threw me many times was the aperture settings. I felt that a setting of 1.2 (being a low number) would somehow correlate to less available light where on the other hand a setting of 22 was HUGE and lot’s of light coming in! Practice makes perfect. 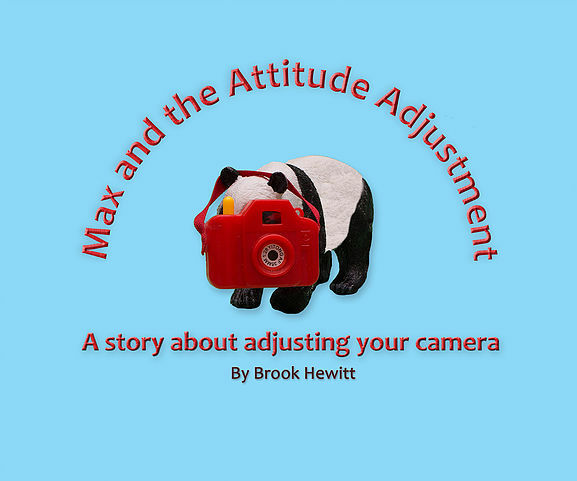 Max is a panda who needs an “adjustment” relating each photo in his day to different problems encountered with incorrect camera settings. Max finally comes into focus looking great but it took some practice. That’s where this book can really help kids and kids of all ages. I finished the book smiling! Here’s my favorite place to photograph nature in Atlanta.